VegFest Colorado 2015 | Join Us! Join Us at VegFest Colorado! 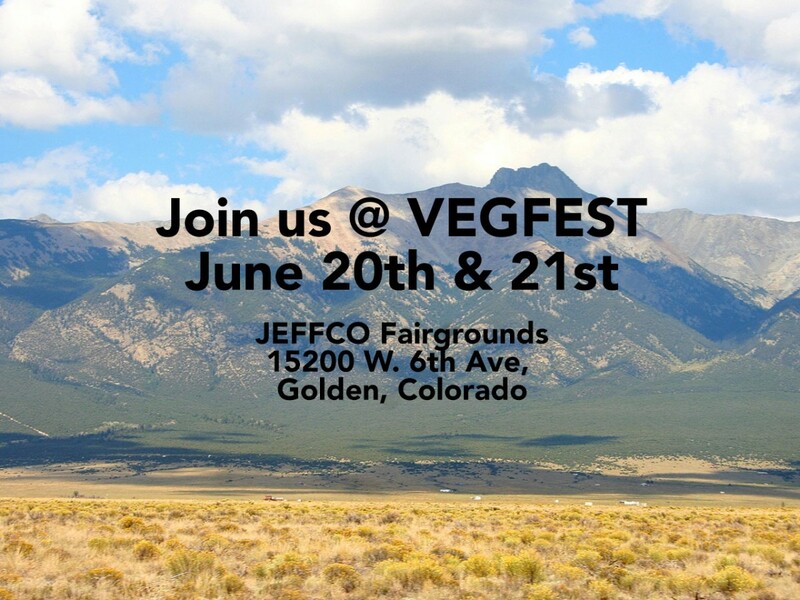 Home/Events, Healthy Lifestyle/Join Us at VegFest Colorado! Hemp is an incredible environmentally friendly resource for people who are living a healthy, plant-based lifestyle. That is why this weekend we will be a part of VegFest Colorado. Our passion for promoting a healthy lifestyle that benefits our bodies and the environment is what motivated us to launch our company. We are excited to be a part of VegFest this weekend! If you can make it out to the Jeffco Fairgrounds in Golden, CO this Saturday or Sunday, June 20th and 21st, please stop by! We will be giving out samples of our products, and you can sign up to win an entire basket of free products! Also, be sure to take advantage of free shipping for your online orders through the entire month of June! Just enter code VEGFEST at checkout. This weekend, there will be renowned speakers talking about issues related to vegan living: health, diet, compassion, and environmental issues. There will also be expert chefs demonstrating how to prepare delicious healthy plant-based/vegan dishes. If you can’t make it out to VegFest but want to learn more about veganism, the Vegan Society’s website is a great resource. They even have wonderful recipes!